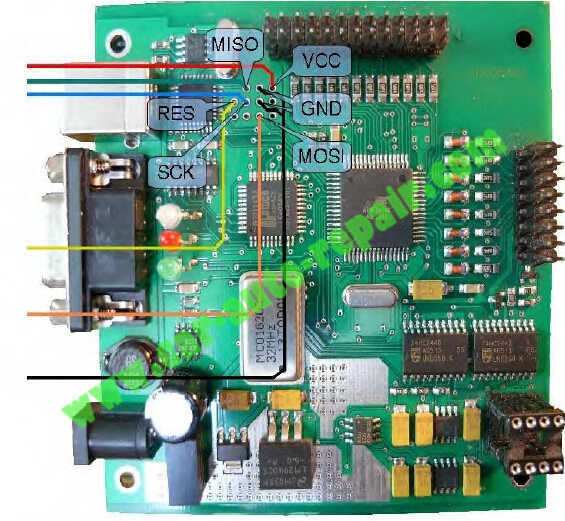 This guide is intended for those who don’t already have a second XPROG-M, UPA USB, or other programmer capable of programming the XPROG’s ATmega64 and need to repair their XPROG-M after attempting to update or if the flash counter has reached its limit, etc. 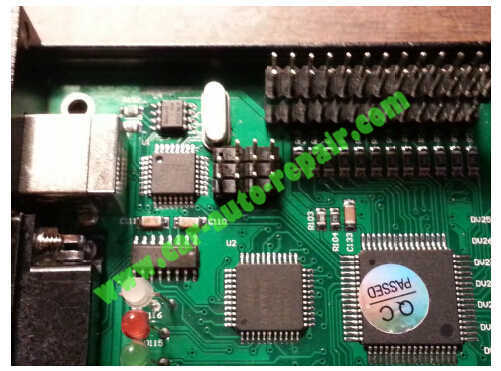 Note that this repair is for XPROG-M v5.0. 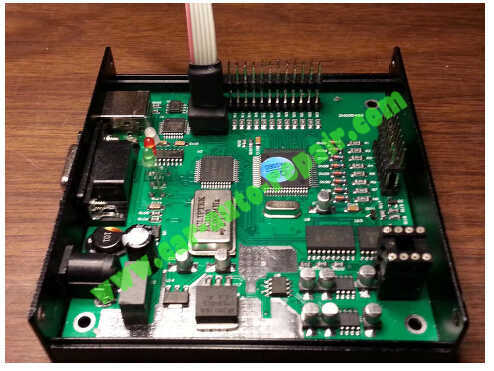 The USBasp programmer is an inexpensive In-Service Programmer (ISP) capable of programming/repairing the XPROG–M without need for external power. They can be found on amazon for as little as $5.98(buy USBasp from Amazon). This guide will focus on the Windows version of eXtreme Burner -AVR (included in the archive containing this guide). Connection of the USBasp to the XPROG‐M requires 7 connections (see pic below, note that 2 ground leads are required). 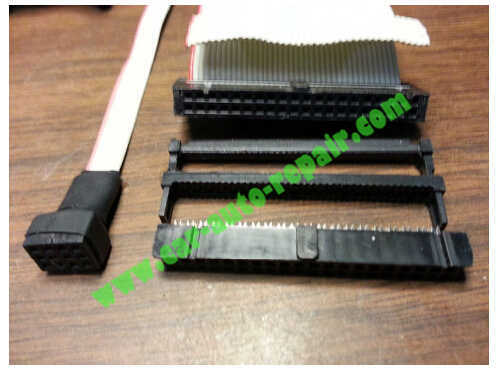 The cheapest and easiest way is to cut the connector off one end of the cable supplied with the USBasp and solder the loose ends directly to the solder pads on the XPROG‐M. Once the XPROG‐M is repaired you can simply unplug the cable from the USBasp and put the cover back on, leaving the cable inside. If further reprogramming is required, just remove the cover and connect the cable to the USBasp. Other means include installing a connector like a 9‐pin D‐sub onto the case, making it easy if further reprogamming is needed but on the all‐metal models there is not much room to mount a connector and requires drilling and cutting the metal case. Another way is to solder male header pins onto the board and fashioning a connector out of an old IDE hard drive connector with the aid of a Dremel tool (see pics below). NOTE: Be sure to set the programming voltage jumper to 5v! Wizard” dialog should appear. Cancel this operation. Run “extreme_burner_avr_v1.4.2_setup.exe,” following the on‐screen prompts to install the software. Once eXtreme Burner-AVR has been installed, open it and set Chip type to ATmega64A. Set fuse and lock bits. All done! Your XPROG‐M should now work with full authorization and flash counter disabled!